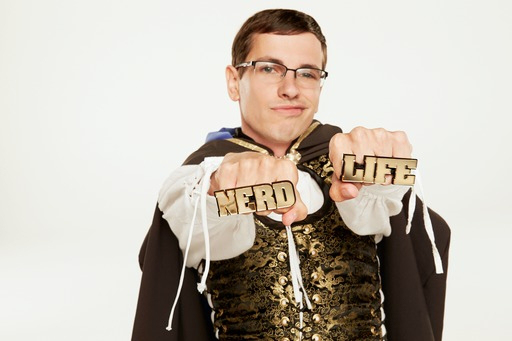 King of the Nerds 3x08 "The Nerdtastic Finale"
I think one of the things viewers of this show enjoy is when they can sort of play along with the nerds on TV, testing their own nerd knowledge. At least, that's something I personally enjoy quite a bit. Tonight's finale was no exception, with multiple games to satisfy everyone's cranium. But, before all of that, it was time for the ousted nerds to come back and swear their fealty to who they wanted to see take home the prize, as well as be able to help in one of the final competitions. Kaitlin was able to snag Colby and Ori, Lily got Amanda and Todd, while Jonathan got Heather, Jacob, Thomas, and Raychelle, leaving Ben with... well. No one. Basically, everyone said they thought Ben was well-rounded enough on his own and wouldn't need any outside help. But would that prove true? The first competition to cut the numbers in half was sort of a quiz bowl type thing. They would be presented with a random trivia question, whoever buzzed in first would answer. If they got it right, they got a point, if they got it wrong, another player would then be able to buzz in to answer. The two players to get to five points first would move on. They were also allowed to use each of their helpers on one question. Jonathan and Kaitlin shot forward to early leads, but then Ben started to pick up steam, and Lily got a few right as well. But, it was Ben, without any help, who got to five points first. Who joined him in the final competition? Jonathan, beating out Kaitlin when she got a little too buzz-happy. After spending a night together getting wasted and making out with each other (or at least some of each other), it was time for the final battle of wits to decide who is the new King of the nerds - this time an actual king. This final competition was the best out of seven, whoever could win four of the games first would be crowned. 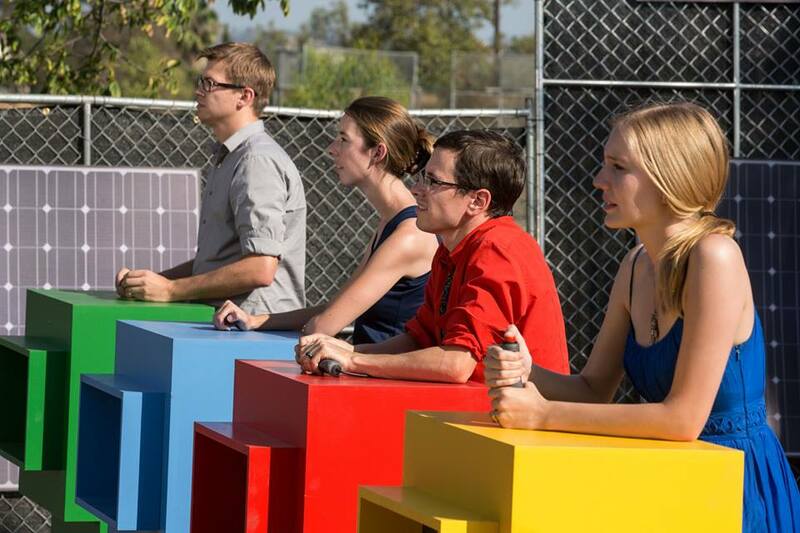 Each of the games were a bit different, some of them more head-to-head, others more of an individual puzzle. Jonathan started off strong with two wins in a row, one playing speed chess, and another playing the Tekken video game. But then Ben started to make a comeback, besting Jonathan in a crossword puzzle and a logic puzzle where you're given clues to figure out what goes where, basically. Very similar to these puzzles I used to do for extra credit in math class. Yeah, I did extra credit in math, shut up. He also beat him in this math equation thing that you would've thought Jonathan would've had in the bag. Next up was a game of Connect Four, which Jonathan had to win in order to stay in the competition...and... he did! Which left the final game to decide their fate. And it was some kind of logic grid thing called a griddler. All in all, it was pretty close, with Jonathan messing up on his first try, but in the end he managed to pull it together and take home the win! So, congratulations to Jonathan, who I sort of predicted back in episode two had the potential to go all the way. Do I like when I'm right? Um, doesn't everyone? Ha ha ha. Also, random side note that I didn't want to divulge until the show was over - my boyfriend has actually played the Game of Thrones card game with Ben a few times, so he knew who he was from the start. Actually pretty funny as he also knew Ivan from season one from college. What a small world, huh?